Floor graphics create a three-dimensional look while adding value and a personal touch to any Concrete Protector Floor System with our fabric printed graphics. 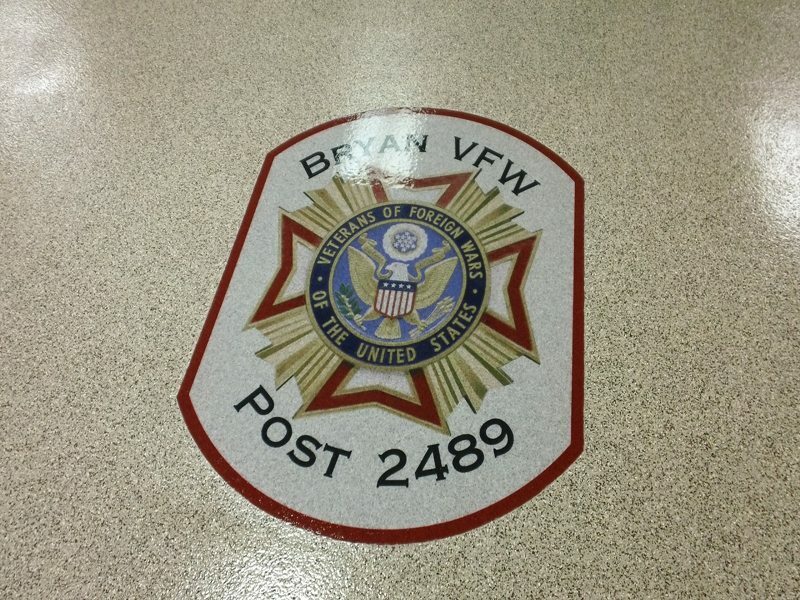 Not a vinyl sticker that you get from a sign shop! 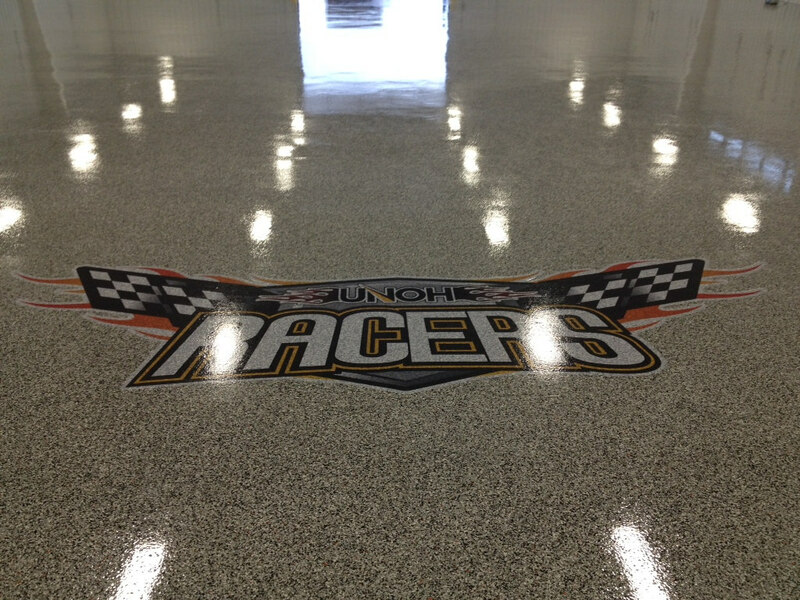 Our embedded UV resistant images become an integral part of your flooring system. 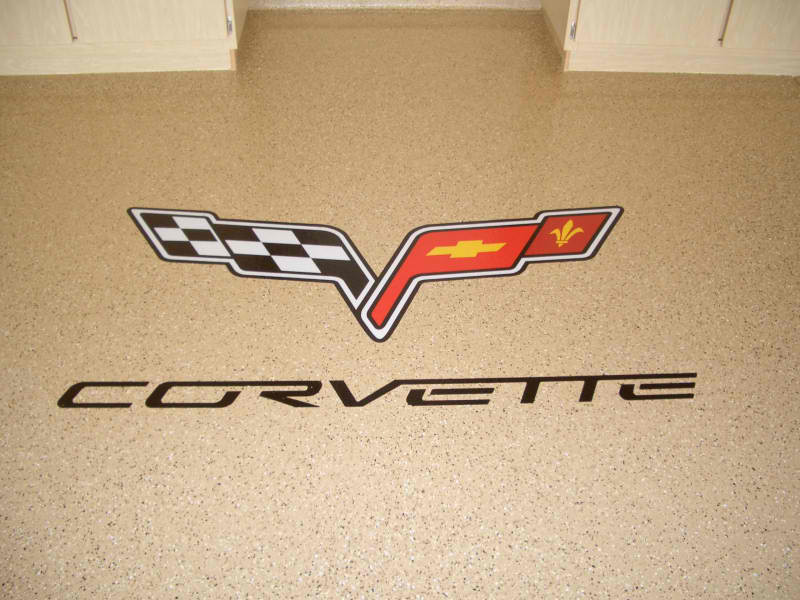 Transform you basement or garage to match your favorite sports team, car brand, or activity. 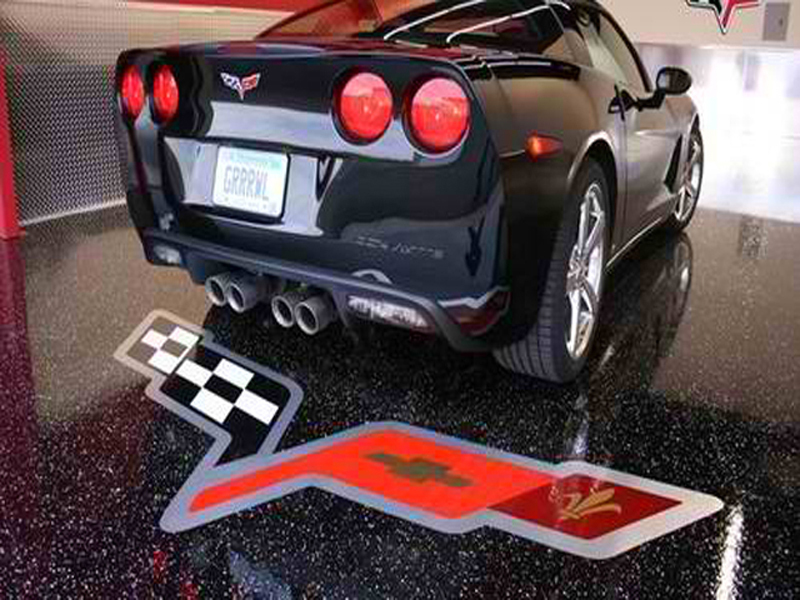 The ultimate touch to your mancave are floor logos. 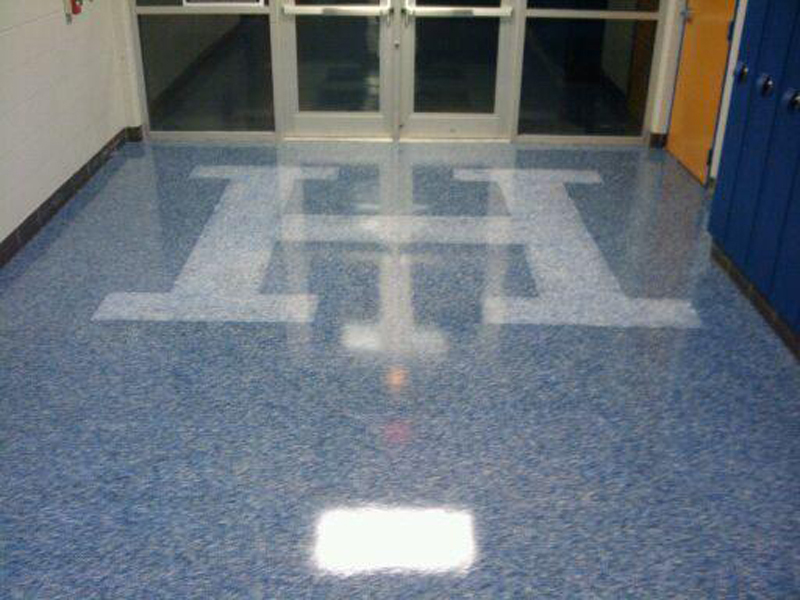 Our floor logos are perfect for business as well. 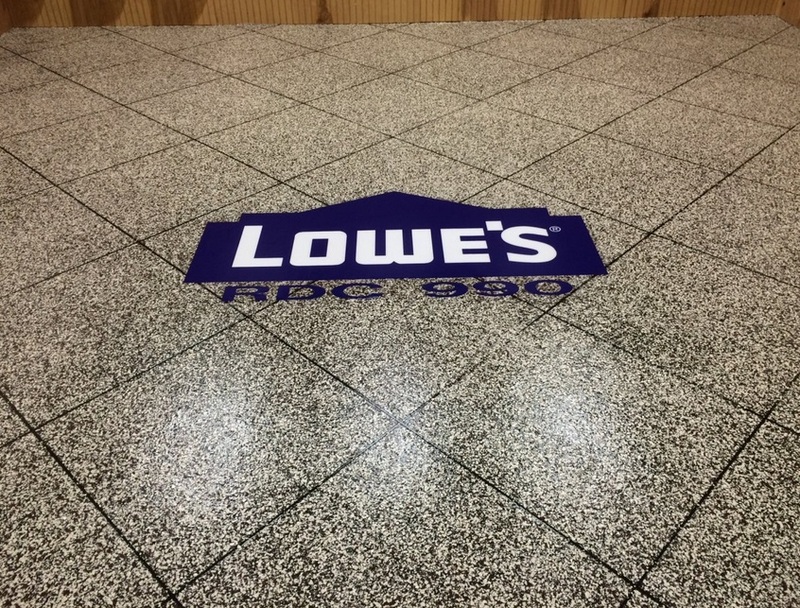 Make your customers remember you with a decorative floor branded with your logo.